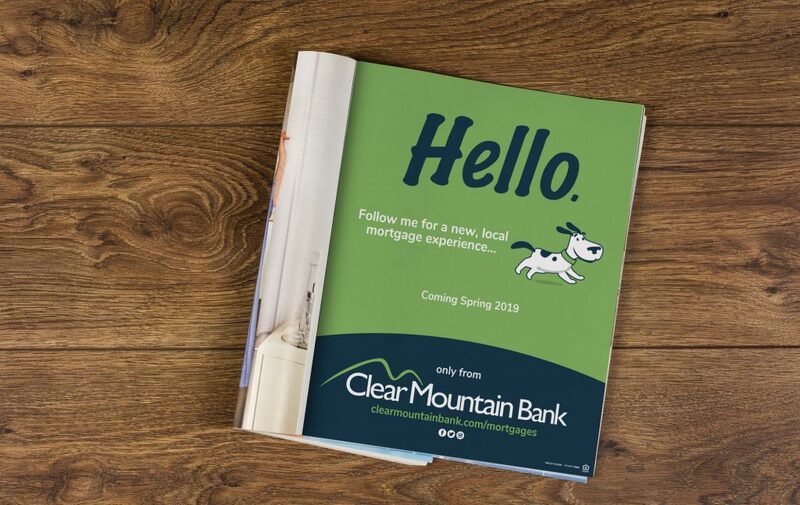 The Stick Company was excited to work with Clear Mountain Bank’s Mortgage and Marketing teams to help create the new branding for their recently launched online loan application. 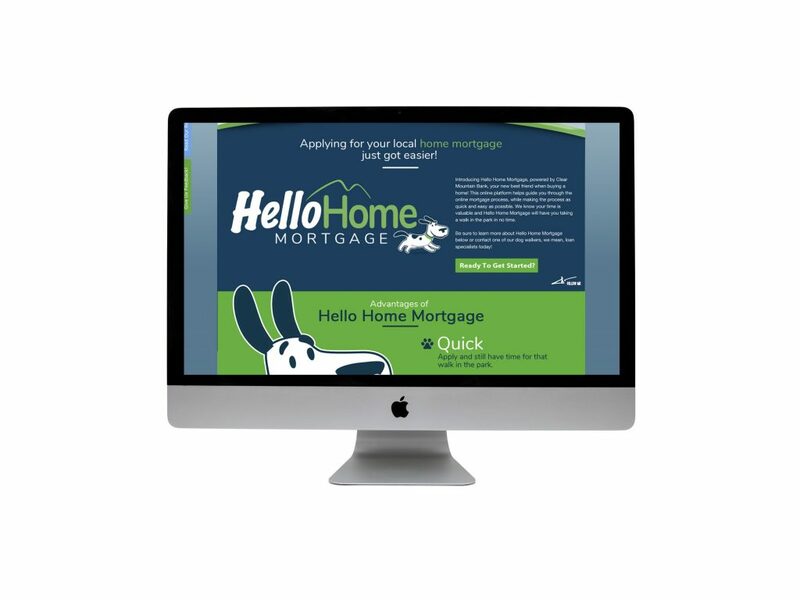 The goal for the campaign was to take the concept of HelloHome Mortgage and create a distinct and catchy campaign that provided a mascot or iconic design element while still remaining brand consistent with the bank’s brand standards. 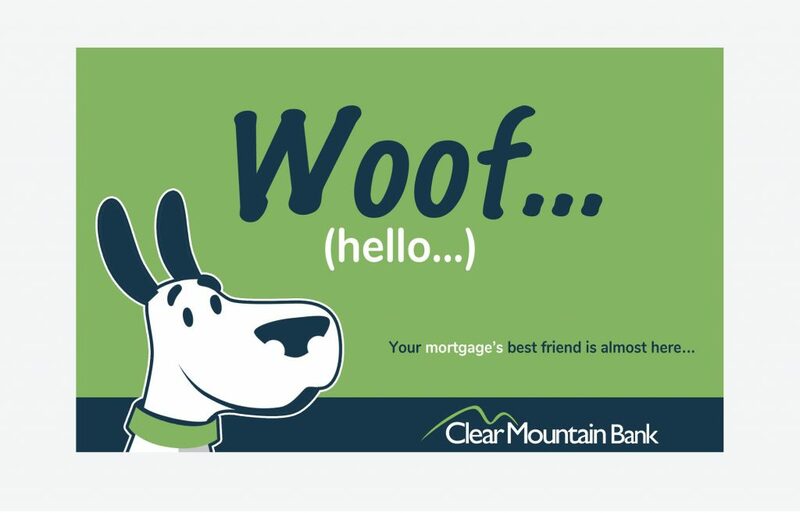 Our team focused on a variety of concepts and directions and felt something light and fun – that was different than the traditional house icon/logo – and introduced the HelloHome dog. Once our four-legged friend was welcomed into the campaign, things all started coming together. We have even been working to fetch out some brand-consistent content to mirror the playful direction of the campaign. While the campaign was just released in March, there have been a number of aspects created for the campaign including the logo, brand identity package, cards, brochures, videos, signage, print ads, website landing page and digital displays. A number of elements are still being introduced as the campaign gains momentum moving forward. 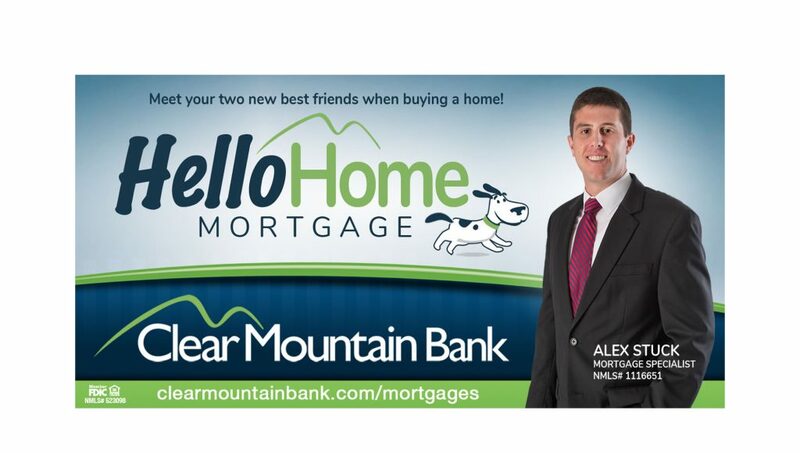 HelloHome Mortgage, powered by Clear Mountain Bank, is your new best friend when buying a home! 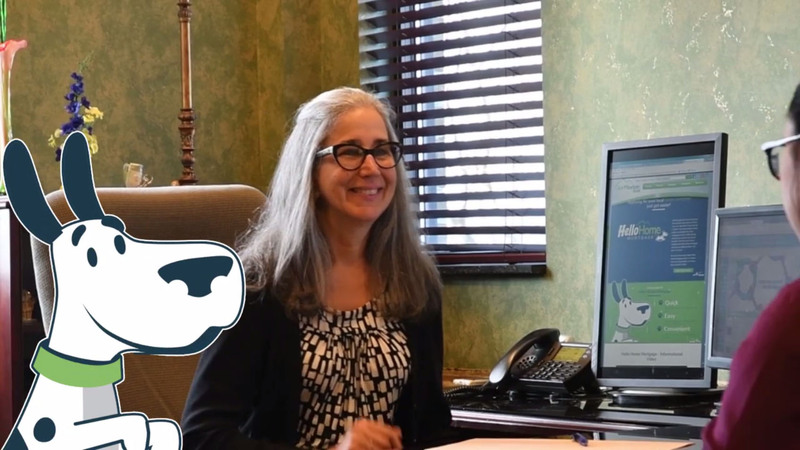 This online platform will guide you through the online mortgage loan application process, while taking you through the steps as quick and easy as possible. 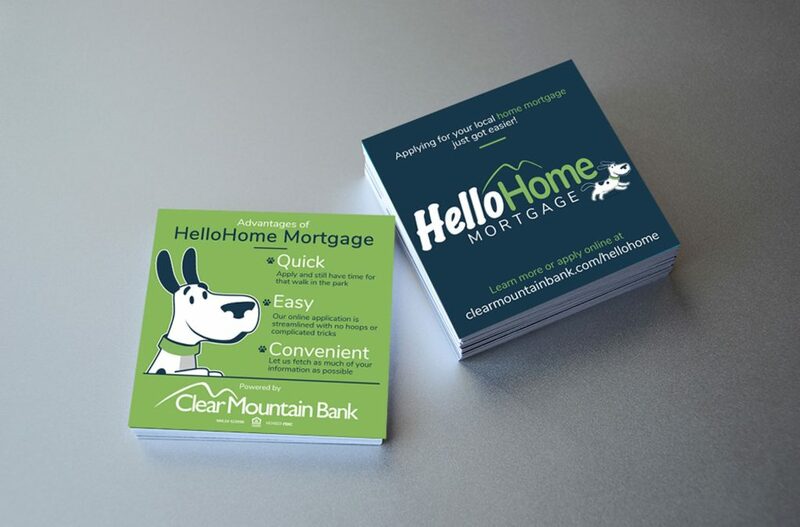 Your time is valuable and HelloHome Mortgage will have you taking a walk in the park in no time. 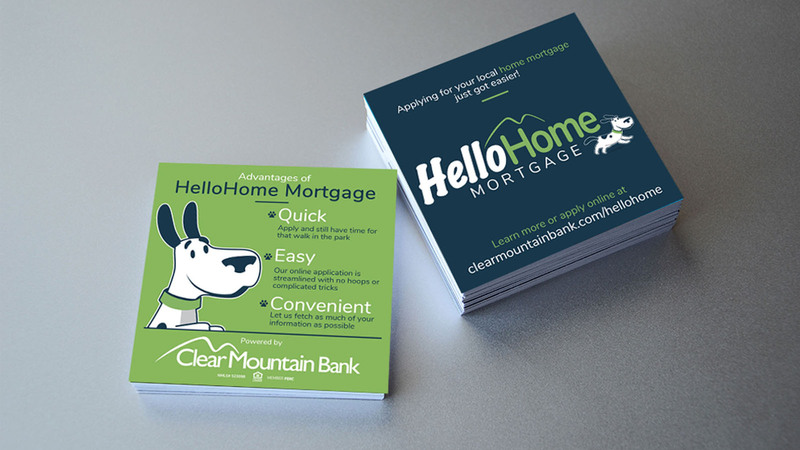 Learn more about HelloHome Mortgage or contact one of Clear Mountain Bank’s friendly and knowledgeable mortgage loan specialists today by visiting their site at www.clearmountainbank.com/mortgages/.